A press release for the game says that, as Carl, you'll need to discover the sequence of events and influence history (hence the time-travel vibe you might've gotten from the trailer) in order to save June's life. "With Last Day of June, my vision is to create a riveting emotional experience that connects with the broader audience of human beings," said creator Massimo Guarini. "People feel comfortable broadly saying they don’t like video games without ever really trying them, but never say that about movies or music or art – there’s always something they can identify with. I believe games can be just as universal and relatable, and that’s what we’re attempting to show with this project." 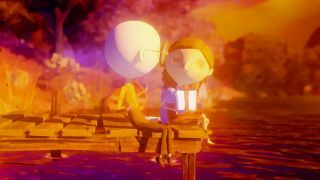 Last Day of June will come to PS4 and PC later this year.